Most would think that bamboos are a lovely ornamental plant to add to any grounds. They are indeed very desirable garden plants. They are an attractive plant for birds, will grow in poor soils, and they can make large clumps that are ideal as focal points or for adding structure to borders. 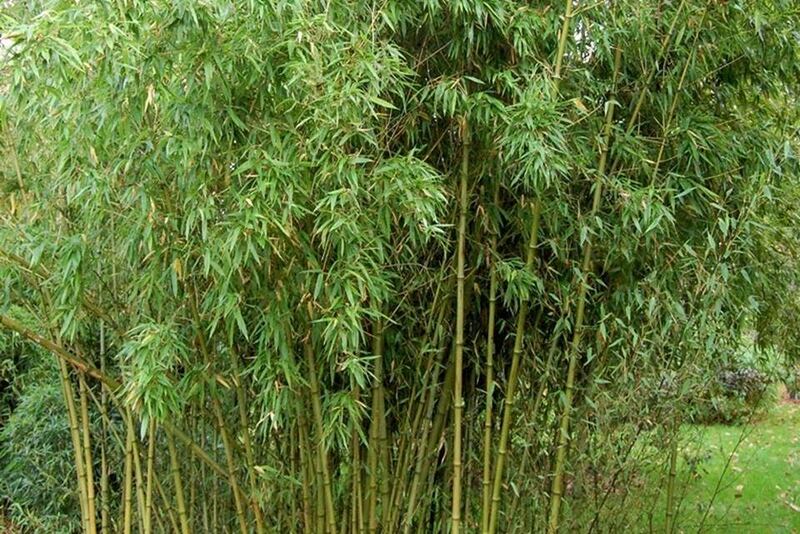 I speak from complete experience here…many years ago I bought a bamboo in a 7.5 litre pot, it was about 1 metre high and I planted it in my shingle garden. That beautiful bamboo soon grew to 6 metres and sent shoots through the ground everywhere – including my neighbour’s lawn! However, all the leaf litter they create can be beneficial to the soil as it is an excellent natural mulch. And we shouldn’t ignore the pleasure that this plant can provide simply by its presence. The sound of wind moving through the stems of bamboo plants has a calming, meditative effect – which is why bamboo is used in many traditional Asian cultures to craft musical instruments and wind chimes. So remember, if you do want to plant bamboo, they do drop a lot of leaves and they need tonnes of space, if you’re not sure, keep it in a pot!